After months of deliberating, I finally made the jump and purchased a domain! 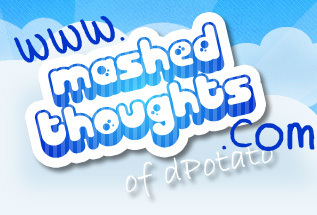 Update your bookmarks because my site is now http://www.mashedthoughts.com! did u purchase the domain on blogspot? @Hylic Yes, I did. $10 per year.